This is the call back scam, which has risen to epidemic levels in Ireland. 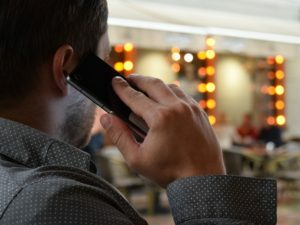 Ireland’s phone operators say that tens of thousands of scam mobile phone calls are sweeping across Ireland in an “unprecedented” surge. The calls, often have international prefixes including +231 (Liberia), +269 (The Comoros Islands), or +43 (Austria) and are intended to trick people into phoning back at premium rates. The numbers are high cost international numbers and the fraudsters will get paid for each call back. The fraudsters will try to keep you on the line for as many minutes as possible. The scam is known as a ‘wangiri’ call, (means one ring) because the mobile phone typically rings just once or twice. The scammers hope that people will automatically call back without looking too closely at the number. The telecoms watchdog admits there is no easy way to identify such calls but advise not calling back unless you know the number that called you and certainly do not call back if left a blank message. Some mobile operators do block these scam numbers as they are identified and that stops them from calling their customers and blocks their customers from returning the call. If your receive such calls, then notify your phone company of the calling numbers.